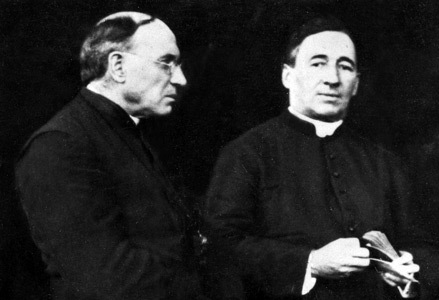 Maryknoll was founded by Father Thomas Frederick Price and Father James Anthony Walsh in 1911 in Ossining, New York, to establish a seminary for foreign missionaries. Maryknoll is an official order of the Catholic Church in the United States, founded in 1910 and comprised of priests, brothers, sisters and lay people who conduct missionary work throughout Asia, Latin America and Africa. I was first introduced to Maryknoll as a teenager, around the time of my Confirmation in our local parish, through my older cousin, Bob, then a seminarian preparing for the priesthood at Wadhams Hall Seminary in Ogdensburg, New York. Maryknoll was first invited to serve the Catholic Church in Tanzania in 1944, when urbanization in Africa began to accelerate. With a gleam in his eyes, and broad smile on his face Bob told stories late into the night to my family and I of classmates and priests he knew in Maryknoll helping to establish hospitals, schools, youth programs and church parishes in Kenya and Tanzania. I never forgot about Maryknoll, and in my late twenties, as a U.S. trade negotiator travelling regularly to South Korea, I met and became friends with one of Bob's former classmates, a Maryknoll priest who ran a soup kitchen in the Karak marketplace in Seoul, and regularly provided medical and spiritual care to a leper colony on Sorok Island. In the 1990's, Maryknoll Korea was headquartered in a beautiful building complex on a lush piece of land in eastern Seoul. This property is now headquarters for the Catholic Bishops Conference of Korea. Maryknoll is different from most religious organizations in this respect: rather than simply praying for intentions, giving retreats and teaching or preaching, its members put the Gospel message of God's love for the poor, underprivileged, and outcast of society into action in concrete, visible ways that have immediate, tangible effects on people's lives. In this regard, they are similar to the Peace Corps, which also helps people overseas through needed programs and infrastructure. Where Maryknoll differs is that rather than simply promote the secular ideal of "world peace and friendship", it conveys the important spiritual message of "God's love and mercy." Premier Veneers has been contributing financially to the needs of Maryknoll for much of the past twenty years. We appreciate and admire their sincere, down-to-earth, heartfelt approach toward helping others, a bearing and disposition that permeates their small, monthly magazine sent to donors, which regularly features articles by and about Maryknoll missioners around the world. Twenty miniature donkeys at the PVDR ranch in San Angelo, Texas, were transferred to a horse ranch in Arizona in 2016 to be adopted out. The Arizona ranch fielded so many calls from across the U.S. they had to use a lottery system for the adoption. Peaceful Valley Donkey Rescue (PVDR) is a 172-acre ranch in San Angelo, a city in west Texas, with a population of about 100,000, whose primary mission is to rescue and rehabilitate donkeys and wild burros that have been neglected or abused. At any given time, they have between 1,000 and 3,000 donkeys and burros under their direct care, either at the main ranch or one of their Sanctuaries. They also adopt out rehabilitated donkeys through their Adoption Centers, and undertake educational initiatives across the country about the plight of the "American Donkey". 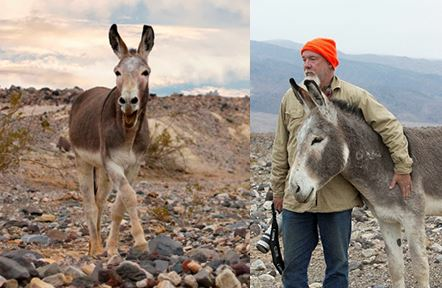 Mark Meyers, the Executive Director of Peaceful Valley Donkey Rescue, with a wild burro in the Mojave National Preserve near Death Valley National Park in eastern California along the Nevada border. These burros needed to be relocated. We have been supporting Peaceful Valley Donkey Rescue for three years now. PVDR sends out regular email updates about their rescue initiatives, including adorable photos of and cute stories about the donkeys they rescue. They are very proactive in their efforts, and respond immediately to any donkey "crisis" they are made aware of, including even in the Caribbean islands recently, where donkeys were initially brought over by the Spanish in the late 1400's. Often, PVDR's efforts are undertaken on blind faith, and simply out of compassion, not yet having the resources to adequately fund them. In addition to responding to their fundraising efforts for various rescue initiatives or crises, Premier Veneers has made a monthly commitment to feeding one donkey on their ranch in San Angelo.